A Florida couple spent two days in what they believed was a locked closet. 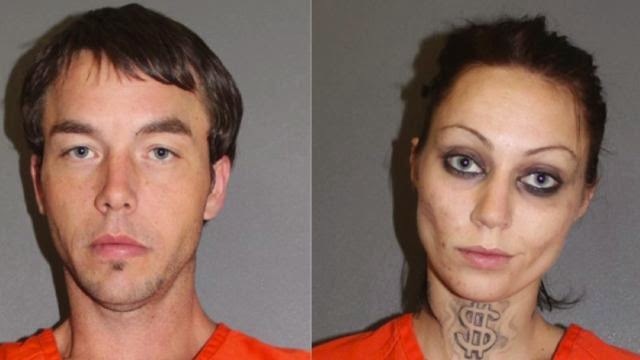 John Arwood, 31, and Amber Campbell, 25 stated that they had hid in the janitor's closet at Daytona State College to escape unidentified assailants. Once in the closet, they believed they had locked themselves inside. After waiting two days, the desperate pair called 911 for help. After police arrived and "freed" the couple, an officer checked the door to see if it would lock from the inside and found it had been unlocked the whole time. Police said they found human feces and scouring pads which are sometimes used to smoke crack but no drugs were found. Both were charged with trespassing and Campbell was also charged with violating probation.